You could increase your business opportunities greatly if you buy a shop in York rather than trading purely online. One of the most significant advantages of selling your products using a shop property in York rather than online is that the fact that you can show you are financially suitable thus trustworthy. So why not take the first step towards finding the perfect shop in York with MOVEHUT today. Regardless of the retail property type that is for sale in York you're searching for, we're confident we have something to match. It could be you hope to find a retail property suitable for use as a phone and gadget shop in York. Perhaps you require a shop large enough to house a furniture store. It doesn't matter what your business requirements are, here at MOVEHUT we have everything it takes to ensure your search for retail property for sale in York is a success. Here at MOVEHUT, our aim is to make your search for a shop for sale in York run as smoothly as possible. You can refine your search by location, radius or postcode to ensure we provide you with only the properties that are relevant to your search. So get searching for shops to buy in York with MOVEHUT, and we'll provide you with the results you're hoping for. You'll get the best results for your shop for sale in York search if you consider a few factors beforehand. Being realistic about your budget is obviously important, and another point to consider is the proximity of any property to local transport links. So by taking advantage of our tips and our site search functionality, we think you can get a great shop for sale in York. We feel it's essential to view a shop in York in person before thinking about buying it. One of the most important things to look out for is the location of the property and the surrounding area. Obviously you want any shop to have the proper paperwork and official checks such as an EPC certificate, for example. With MOVEHUT's advices in mind, you should find the ideal shop in York to buy. You should take into account a number of factors when searching for a shop for sale in York. Clearly you will have to consider the commercial property size that you will need to fulfil your business plans. Another matter that may influence your choice will be the location of the property and its proximity to local transport arteries. Whatever requirements your business may have, the ideal retail property can be found here at MOVEHUT. 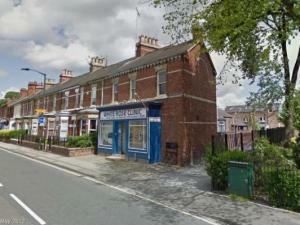 When you're searching for a suitable retail property for sale in York don't forget that you will require insurance. It doesn't matter if you're opening a barbershop or a boutique, you will require an insurance policy. Insurance policies can include cover for goods whether in stock or in transit. It's easy to find the right shop for sale in York, and don't forget your retail insurance too.